I read Hannah McKinnon’s first novel, Time After Time, a couple of years back and adored it. It was on my top reads list that year (read my review here). 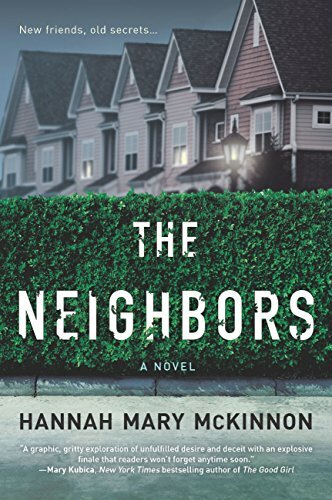 The Neighbors is a very different kind of novel – as she says, she’s gone over to the dark side! – but I enjoyed it every bit as much. The Neighbors starts with a prologue that really grabs the attention. A young woman, Abby, has been flung clear from a car crash. Barely able to move, she can see her brother Tom is trapped in the car which then explodes, killing him. Fast forward several years and Abby is happily married to Nate with a stroppy teenage daughter, Sarah. New neighbours are moving in next door. They were pleased to be getting rid of the grumpy old woman who used to live there but to Abby’s horror one of the new neighbours is her ex, Liam, who knows exactly what happened the night of the car crash. Both are rather taken aback and by unspoken mutual consent pretend not to know each other. The story moves back and forward in time to before the car crash and its aftermath. What exactly happened that night that Abby and Liam are so desperate to keep secret? I found The Neighbors a really gripping read and raced through it in a couple of days. The story is told from points of view of Abby, Nate, their daughter Sarah (through her diary) and Liam’s wife Nancy. We find out that Abby feels responsible for Tom’s death and get to understand her feelings towards Liam and why she felt they had to break up. Hannah McKinnon clearly shows the panic felt by Abby when she realises who her new neighbour is and why she is desperate to keep their previous relationship secret. There is clearly still a strong attraction between the two but surely it would be disastrous to act upon it? Her husband Nate does know about the accident – after all, he found Abby immediately after the crash and saved her life – but he doesn’t know everything and he doesn’t know about Liam. The story is perfectly paced with just enough revealed by each character whether in the past or the present to keep the reader guessing. The Neighbors is a brilliant domestic suspense novel, one that will have you reading compulsively, desperate to find out what has happened. You may have suspicions about what the characters are hiding but there are plenty of twists and turns right up to the end, which certainly took me by surprise, even though the clues were there all along. Hannah was born in Manchester, UK to British & Swiss parents. A year later they moved to Switzerland. Rather unsurprisingly she love mountains, chocolate and cheese. A chance encounter back in the dark ages of the Internet in 1999 led her down the aisle with Rob just five months later. 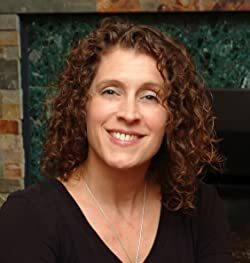 They moved to Oakville in Ontario, Canada, where she decided to follow her oldest passion, started writing, and never looked back. Hannah writes fiction for adults and children’s books, and sometimes thinks she’ll never have enough time to get all of the crazy ideas out of her head and on paper. She also has a soft spot for short stories and mud runs! That sounds gripping – I couldn’t resist downloading!